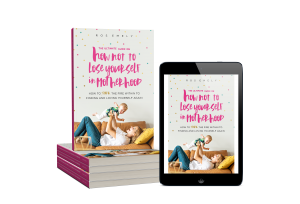 There’s one thing for certain if you’re a mom, you have felt exhaustion one way or the other during your motherhood journey. I have dealt with it a couple of times and let me tell you, it ain’t pretty. But, I do know a thing or two about dealing with exhaustion and how to quickly get rid of it. These 5 quick fixes for the exhausted mom will help you feel re-charged, happy and you again! What does it mean to feel exhausted? Feeling drained, physically and mentally tired and used up. I like to define it as your body can’t take one more dish to wash or one more load of clothes to fold. Being exhausted is not healthy and it can be dangerous if you don’t take care of yourself. 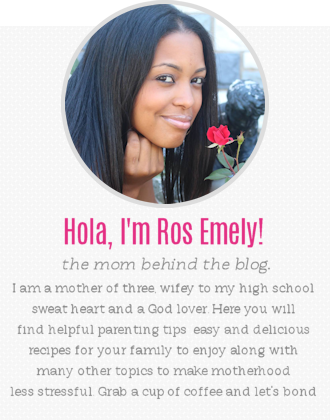 As moms we definitely have a lot on our plate, we are being pulled in one hundred different directions. Sometimes we feel great about it and sometimes we simply just need a break. We can only take on so much before our bodies let’s us know to stop. I’m sharing with you these tips because it has helped me a ton and I know it’s going to help you too. Easy, simple to implement tips for the exhausted mom! 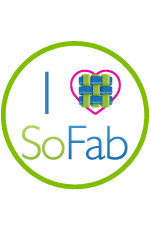 Disclosure: This post may contain affiliated links for your convenience! The first thing that you have to do when you’re feeling exhausted is to stop doing the chores for that day. It can wait. Whether it’s the laundry, mopping the floors or cleaning the bathroom. Just stop and forget about it. You do not have to do it at this very moment, it can wait. Your body is signaling to you that you need to stop and relax. Hey! You don’t even have to cook, or if you do, make it easier on yourself, check out MyFreezeEasy meals! Have quick, healthy and easy meals on the table in no time! Also, you’ll be saving time, money and stress with freezer meals. Give it a try!.How about ordering out from your favorite family restaurant, I’m sure your partner will understand and your kids would definitely be thrilled. Doing our daily house chores can definitely make us feel overwhelmed and exhausted, sometimes it’s best if you just stop for the day and listen to your body. Every time I feel exhausted, my body let’s me know that I need to lay down or take a nap. I’m not a nap person, so it’s very rare that you see me taking a nap. But, when I do feel exhausted and I can’t take another minute of standing, cooking, washing the dishes or listening to my kids yell and scream. You bet I go lay down on my bed or on my sofa and take a power nap. I need it, my body needs it and my mind needs it. Sometimes it may be hard to take a nap because you may have younger kids but trust me when I tell you that laying down and resting your eyes for a couple of minutes, it’s all it takes for your body to re-charge. You need to relax and the best way you can do that is by taking a power nap or laying down for a couple of minutes. I know for a fact that when you’re feeling exhausted, the last thing that you want to hear is noise. So prevent this from happening by encouraging your children to do a quiet activity. You can also have them watch a movie that you know they’re going to stay still for a long period of time. While your kids are busy doing a quiet activity or watching a movie, take advantage and lay down, close your eyes and breathe in and out. Asking for help is something that we moms do not do often and I think we honestly should. When I’m feeling physically and mentally drained, and can’t got on anymore, I need to stop and take care of me. I ask my hubby to take care of the kids and to give me at least 30 minutes to myself. I either take a power nap or lay down on the sofa. I helps me clear my mind and eliminate the stress that I’m feeling at the moment. Books that will help motivate and inspire you! Another advice I want to share with you is to accept help from others. If your hubby tells you, “honey go rest you look tired, I’ll take care of the kids” Please do not say ” Thank you but I have to get the laundry done or I have to cook”. Laundry can wait and sometimes ordering out is fine too. Take care of yourself. Believe it or not, taking a shower can help you feel less exhausted and at the same time gives you more energy. When you are feeling drained and completely used up, taking shower should be an option. Remember mom, you also need a break, you need to listen to your body and do what’s right for you. When you take care of yourself, you are also taking care of your family. Remember to take a power nap when you’re feeling exhausted and give your kids a quiet activity that way you have peaceful quiet time to yourself. Taking a bath also helps because it automatically makes you feel calmed and relaxed. For some reason after taking a shower, I always feel energized and ready to go! Asking for help is very important because you can’t always do it all. You need to ask for help and also accept help from others. It’s okay to take a break and do nothing around the house. You can simply stop doing the chores for the day or for a couple of hours, Invest in Freezer meals for stress free healthy and easy weeknight meals! It’s something that you should consider if you’re feeling exhausted. 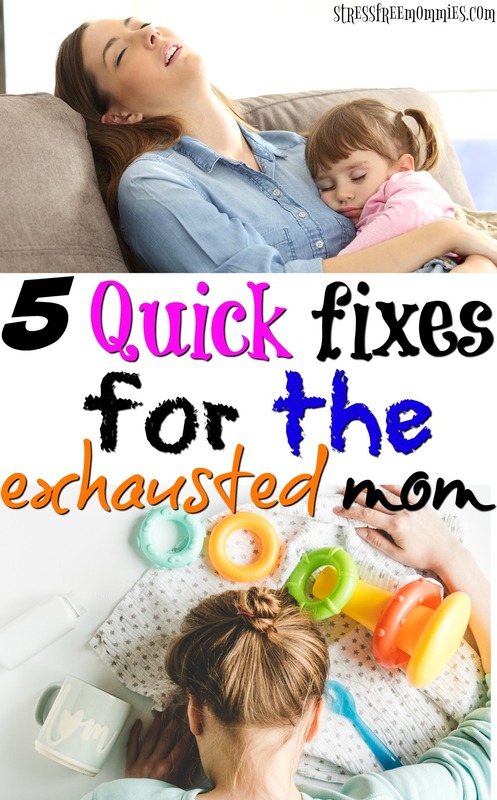 I hope these fixes for the exhausted mom are helpful in making you feel less exhausted and remember, us moms need to take care of ourselves too because no one else will! 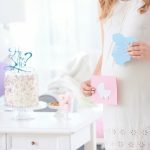 Hay una cosa segura de que si eres madre, has sentido el cansancio de una forma u otra durante lo largo de tu maternidad. Lo he sentido un par de veces y déjame decirte, no es bonito. Pero, sé una cosa o dos sobre cómo lidiar con el agotamiento y cómo deshacerse de él rápidamente. ¡Estas 5 soluciones rápidas para la madre exhausta te ayudarán a sentirte recargada, feliz y de nuevo como tu! Sentirse agotada, cansada física y mentalmente. Me gusta definirlo como que tu cuerpo no puede limpiar un plato más o nu puedes más doblar una ropa mas. Estar exhausto no es saludable y puede ser peligroso si no te cuidas. Como madres definitivamente tenemos mucho en nuestros plato, estamos siendo arrastrados en cien direcciones diferentes. A veces nos sentimos muy bien y a veces simplemente necesitamos un descanso. Solo podemos asumir mucho antes de que nuestros cuerpos nos hagan saber que debemos detenernos. Estoy compartiendo contigo estos consejos porque me ha ayudado mucho y sé que también te ayudará. ¡Consejos fáciles de implementar para la madre agotada! Lo primero que tienes que hacer cuando te sientes exhausta es dejar de hacer los quehaceres de ese día. Puede esperar. Ya sea lavar la ropa, limpiar el piso o limpiar el baño. Solo detente y olvídate de eso. No tienes que hacerlo en este momento, puede esperar. Tu cuerpo le está indicando que necesitas detenerte y relajarte. ¡Oye! Ni siquiera tiene que cocinar, ¿qué tal ordenar comida de tu restaurante familiar favorito? Estoy segura de que tu pareja lo entenderá y tus hijos definitivamente estarán encantados. Hacer las tareas diarias de nuestra casa definitivamente puede hacer que nos sintamos abrumadas y agotadas, a veces es mejor si te detiene durante el día y escucha a tu cuerpo. Cada vez que me siento exhausto, mi cuerpo me hace saber que necesito acostarme o tomar una siesta. No soy una persona de tomar siesta, así que es muy raro que me veas tomando una siesta. Pero, cuando me siento agotada y no puedo tomar otro minuto de estar de pie, cocinar, lavar los platos o escuchar a mis hijos gritar. Puedes apostar a que me acuesto en mi cama o en mi sofá y tome una siesta rápida . Lo necesito, mi cuerpo lo necesita y mi mente lo necesita. A veces puede ser difícil tomar una siesta porque es posible que tengas hijos más pequeños, pero créanme cuando te digo que al descansar y descansar tus ojos durante un par de minutos, es todo lo que necesitas para que tu cuerpo pueda re-cargar. Tu necesitas relajarte y la mejor manera de hacerlo es tomando una siesta eléctrica o acostarse por un par de minutos. Sé de hecho que cuando te sientes agotada, lo último que quieres escuchar es el ruido. Así que evite que esto suceda al alentar a sus hijos a hacer una actividad tranquila. También puedes hacer que vean una película que usted sabe que permanecerán quietos durante un largo período de tiempo. Mientras tus hijos están ocupados haciendo una actividad tranquila o viendo una película, aproveche y recuéstese, cierre los ojos y respire y exhale. Pedir ayuda es algo que nosotras las mamás no hacemos a menudo y honestamente deberíamos hacerlo. Cuando me siento agotada física y mentalmente, y ya no puedo más, necesito detenerme y cuidarme. Le pido a mi esposo que cuide a los niños y que me brinde al menos 30 minutos para mí. O tomo una siesta eléctrica o me recuesto en el sofá. Me ayuda a aclarar mi mente y eliminar el estrés que estoy sintiendo en ese momento. Otro consejo que quiero compartir contigo es aceptar la ayuda de los demás. Si tu marido te dice: “cariño, vete a descansar, te vez cansada, cuidaré a los niños”. No digas “Gracias, pero tengo que lavar la ropa o tengo que cocinar”. La lavandería puede esperar y, a veces, ordenar también está bien. Cuídate. Lo creas o no, tomar una ducha puede ayudarte a sentirte menos cansada y al mismo tiempo darte más energía. Cuando te sientas exhausta y completamente agotada, tomar una ducha debería ser una opción. Recuerde mamá, también necesitas un descanso, necesitas escuchar a tu cuerpo y hacer lo correcto para ti. Cuando te cuidas, también cuidas de tu familia. Recuerde tomar una siesta cuando te sientas agotada y darles a tus hijos una actividad tranquila de esa manera tu tiene un tiempo tranquilo para usted. Tomar un baño también ayuda porque automáticamente te hace sentir tranquila y relajada. Por alguna razón, después de tomar una ducha, ¡siempre me siento llena de energía! Pedir ayuda es muy importante porque no siempre se puede hacer todo. Necesita pedir ayuda y también aceptar ayuda de otros. Está bien tomar un descanso y no hacer nada en la casa. Simplemente puedes dejar de hacer las tareas del día o durante un par de horas, no es algo que debería ser tu principal prioridad si te sientes exhaustada. Espero que estas 5 soluciones rápidas para la madre exhaustas sean útiles para hacer que te sientas menos agotada y recuerda que las madres también debemos cuidarnos porque nadie más lo hará. Yesssss! I think my favorite way to relax is to take a shower. It’s the only time I really get to myself!